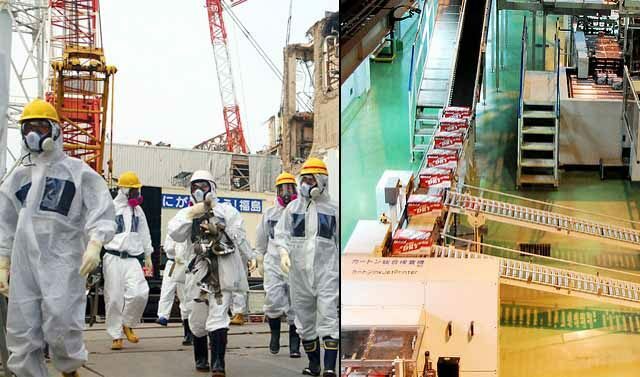 The Japanese government has relocated emergency workers at the Fukushima Daiichi Nuclear Power Plant to Hokkaido after the earthquake on Thursday forced the Asahi, Kirin, and Sapporo beer factories to suspend operations. “We had to prioritize the limited resources at our disposal,” said Chief Cabinet Secretary of Japan Yoshihide Suga. Wearing nothing but protective eye goggles, brave emergency personnel are also soaking up any excess beer leakages through their own skin. The halt in beer production triggered a state of emergency with the government citing concerns that without alcohol salarymen could snap out of their work-drink-sleep-work-drink-sleep-work-drink-sleep cycle and bring the economy to a standstill. Government authorities have also sent a robot inside the Asahi beer factory to assess the extent of the damage. “ASAHI SUPER DRY,” Suga yelled at reporters with a necktie wrapped around his forehead.